Not everybody has an iPhone 4S to play around yet. Apparently the folks from Stuff.tv got their hands on the iPhone 4S and made a video showing Siri so we, the people waiting for Oct 14, can see it and get more excited. The video is very impressive. While the guy from Stuff.tv was in an Apple Store located in Covent Garden, iPhone-Ticker.de from Germany, got his iPhone 4S delivered early and played around with Siri as well. 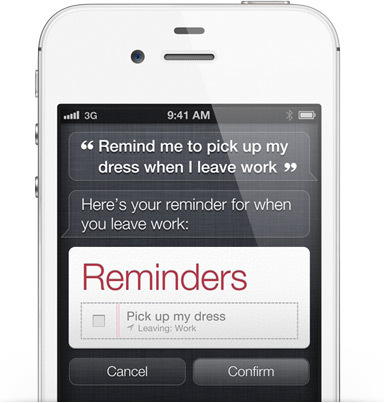 Siri is a feature that will be available only on the iPhone 4S. You will be able to buy or receive(pre-ordered) iPhone 4S this Friday, October 14.